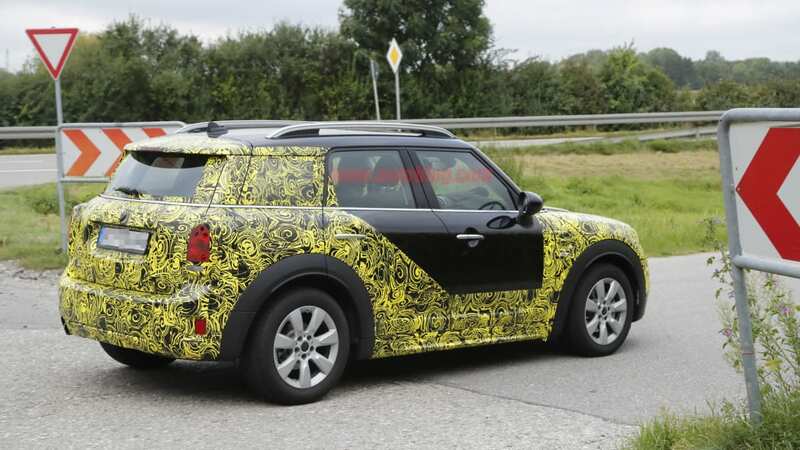 Mini’s largest model is getting even bigger. 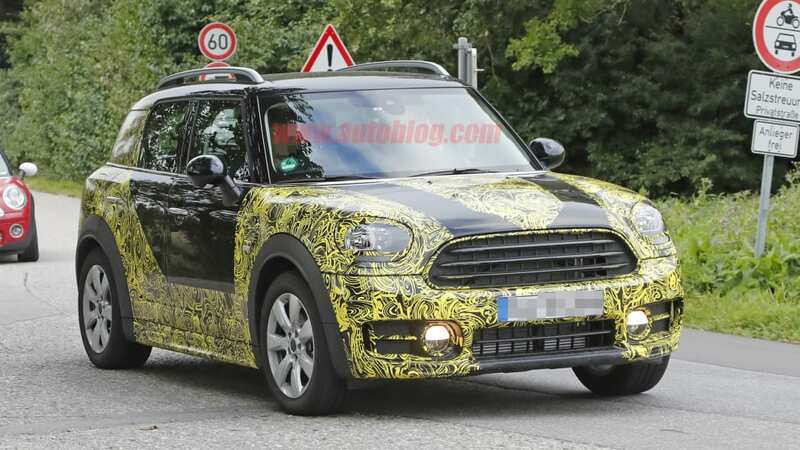 As the entire Mini lineup continues to grow in size, our latest spy shots for the upcoming Mini Countryman testing in Germany reveals the automaker's biggest car will stick to the trend of increasing semantic contradiction. 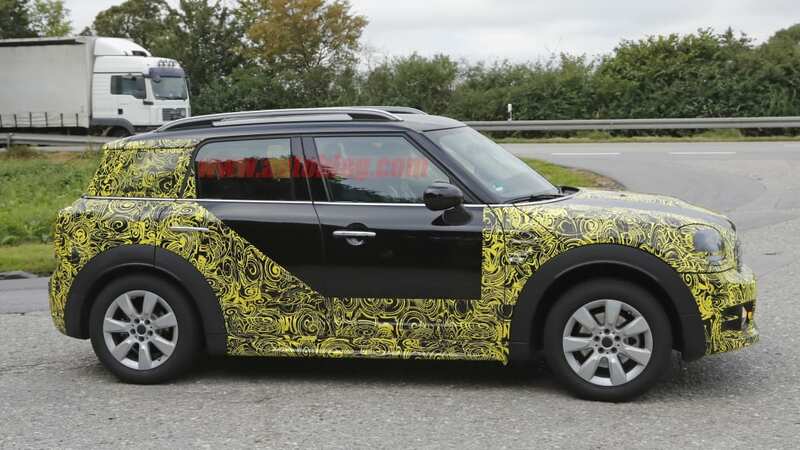 This latest prototype drops some of its camouflage over the previously spied model that was spotted testing in the winter. Unlike the last test mule we saw, the disguised vehicle ditches the hexagonal grille for one that mimics the current model's design with a more traditional layout. The prototype also loses the sporty, multi-spoke wheels for a more boring, plastic-like set. 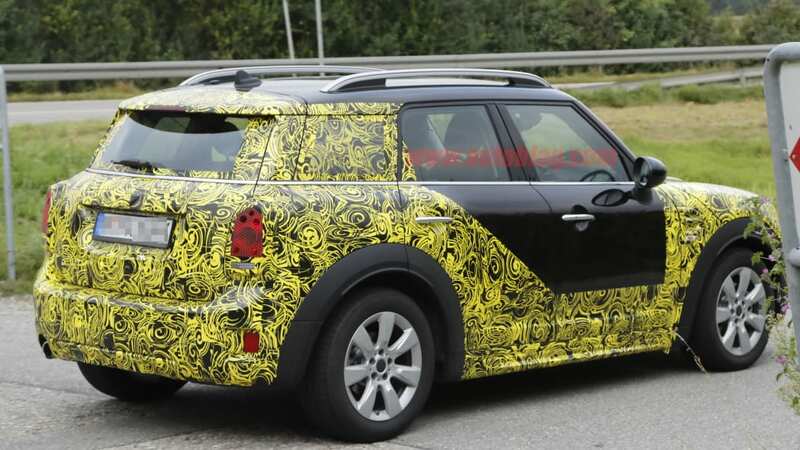 The side and back end of the vehicle are heavily camouflaged, hiding the rear design of the prototype. 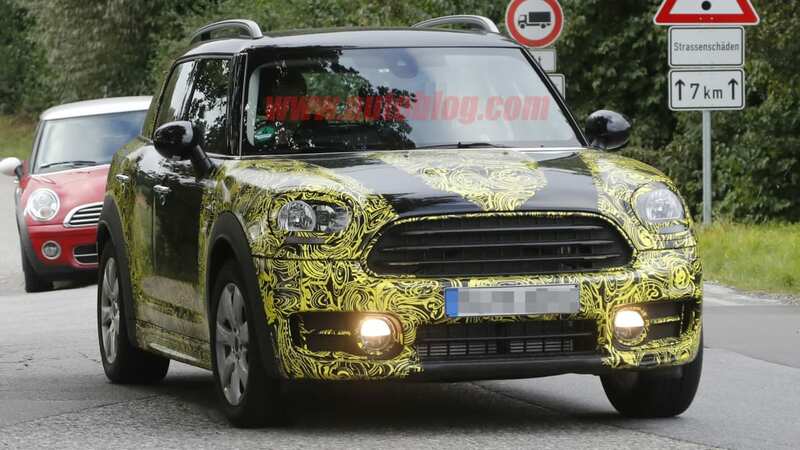 But Mini's iconic taillights are still evident with the most current prototype only having one exhaust outlet, while the previously spotted model sported two. 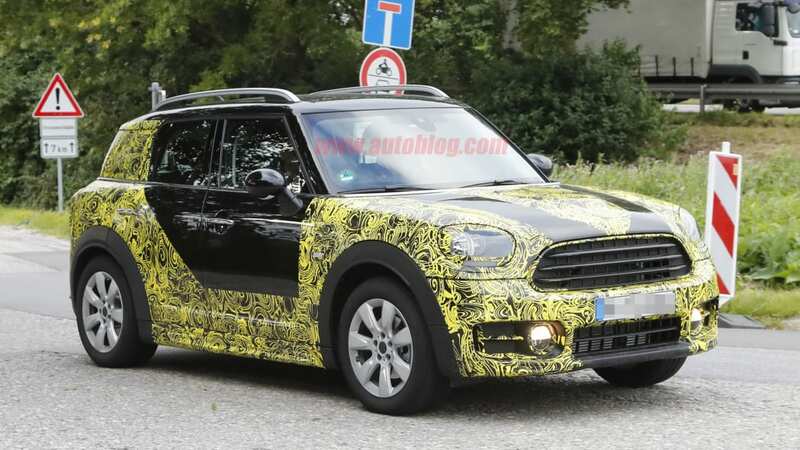 As expected, the next-gen Countryman should grow longer and wider. The increase in size will coincide with a switch to BMW's UKL2 platform. 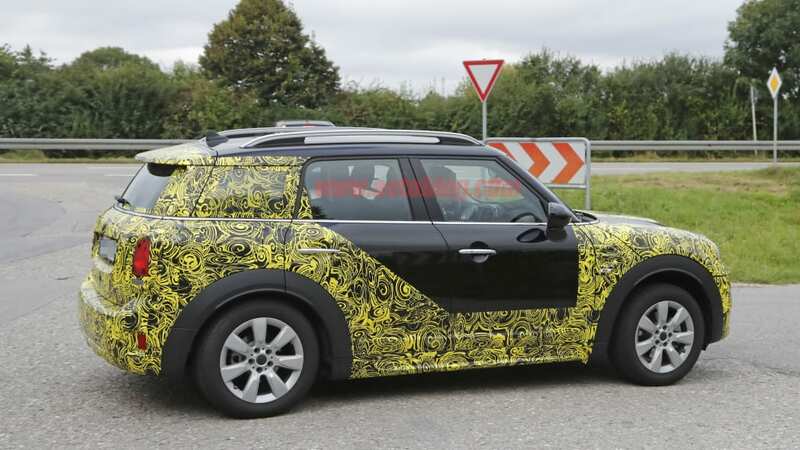 We also expect the Countryman to share the same three- and four-cylinder turbocharged engine options as vehicles on the same platform, namely the Mini Clubman and BMW X1. 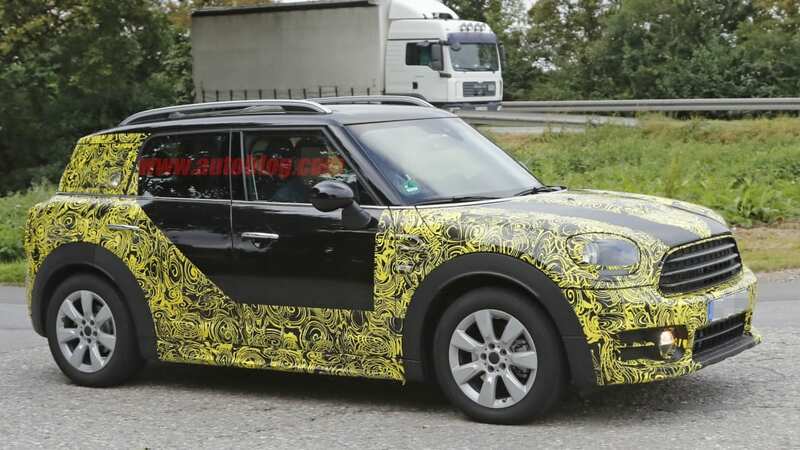 This prototype, with its low-end wheels and single exhaust outlet has us thinking that Mini is testing out one of its more fuel-efficient models. 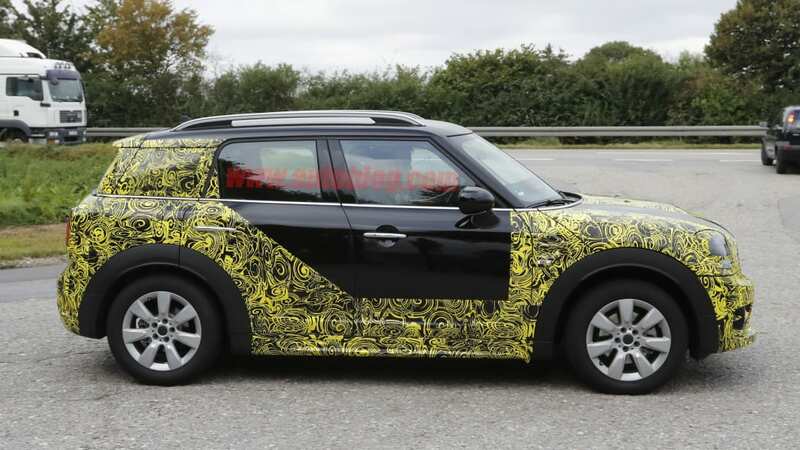 After the Countryman's debut, which is expected to happen at the Paris Motor Show in October, a performance-oriented John Cooper Works model and a plug-in hybrid variant should follow suit.